I’m sure most of you have heard by now that actor and musician Jussie Smollet (born “Justin Smollett”) allegedly faked an attack upon himself on January 29, 2019, stating that he was assaulted by two white men who put a noose around his neck, poured bleach on him, and called him racist and homophobic slurs while also saying, “This is MAGA country.” Smollett is African-American and gay. He also allegedly received a threatening letter a week earlier containing a mysterious white powder which turned out to be Tylenol. Chicago P.D. investigated and have concluded that the attack did not occur as Smollett stated, and have subsequently arrested him on felony charges. Although Smollett’s attorneys deny the allegations against their client, he has also been written out of the rest of the season of the television show Empire. The latest “revelation” regarding this young man is that he now states he has a drug problem. While all this is getting a lot of attention in social media, not everyone is condemning him, at least publicly. Some politicians, such as Nancy Pelosi and Cory Booker, have deleted their initial “tweets” on twitter that showed support for Smollett, however U.S. Representative Maxine Waters continues to believe him. Also, African-American author and screenwriter Steven Barnes, while not defending Smollett’s alleged crime outright, does say that faking the attack does not make him a racist (and who said it did?). Now, although Smollett has gotten a severe “dressing down” from both African-American Chicago Police Superintendent Eddie Johnson and African-American Judge John Fitzgerald Lyke Jr. (I’m pointing out that both men are black so readers don’t believe their comments are based on racism), as Judge Lyke stated, before the law, Smollett is presumed innocent until the state proves its case against him (assuming they can). However a blog, as well as social and news media, are not courts of law, so we can afford to make some assumptions. Let’s assume that all of the allegations against Smollett are true and that he not only mailed a threatening letter to himself (which may constitute mail fraud, a Federal offense), but hired two men he’s worked with on “Empire” to fake the attack. What can we say about this? It seems like this 36-year-old man needs a lot of attention, and playing the role of a victim, both because he’s gay and black, would certainly qualify as attention. Having his “assailants” pretend to be white Trump supporters would likely result in immediate condemnation on Trump in particular (for inspiring hate) and white conservatives in general, both being pretty easy targets in the aforementioned social and news media. In other words, on the surface of it, the attack would seem credible to a lot of people. But that’s not enough. Before Chicago P.D. formally charged Smollett, he described himself during the attack as a gay Tupac, meaning that he was tough and fought back (although the real life boxer Tupac Shakur, who was murdered in 1996 at the age of 25, had his own legal problems). Smollett apparently was attempting to dispel the traditional stereotype that gay men are effeminate and would be helpless in a physical fight (which is ridiculous because I’ve known gay men who have served in the Marine Corps and they are tough). Smollett is alleged to have staged the attack, in part, because he was dissatisfied with the amount of money he was earning on “Empire” which was supposedly about $125,000 per episode. With 18 episodes per season, that comes out to over two million dollars a year. Of course, there are television actors who earn more, such as the cast of “Big Bang Theory” who are said to each pull down $900,000 per episode. Nice work if you can get it. If you put everything together, you can make a case for Smollett being a talented but highly insecure individual who needed a lot more recognition than he was getting, and yes, money is definitely a form of recognition. Sympathy and admiration are other forms, which would play to his being a victim and valiantly fighting back against his two, supposedly MAGA loving white racist attackers. Let’s face it, most of us feel insecure at times and probably want more attention than we’re getting, but most of us don’t go to such lengths to get that attention. Add Smollett’s own admission that he has a drug problem, and you have some significant psychopathology going on, which I bet this young man’s attorneys are going to significantly exploit in court. But it doesn’t matter. Smollett’s already destroyed his life, at least for the next several years. However, consider actor Robert Downey Jr‘s own drug-related career damage. 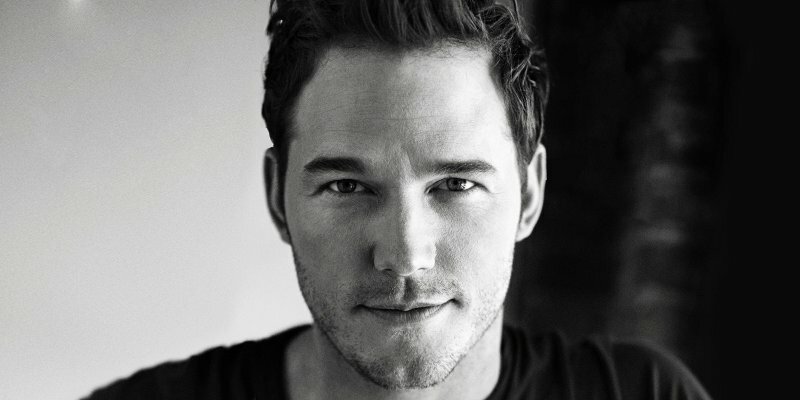 After five years of substance abuse, arrests, rehab, and relapse, he finally got this act together and now he’s one of the hottest tickets in Hollywood. 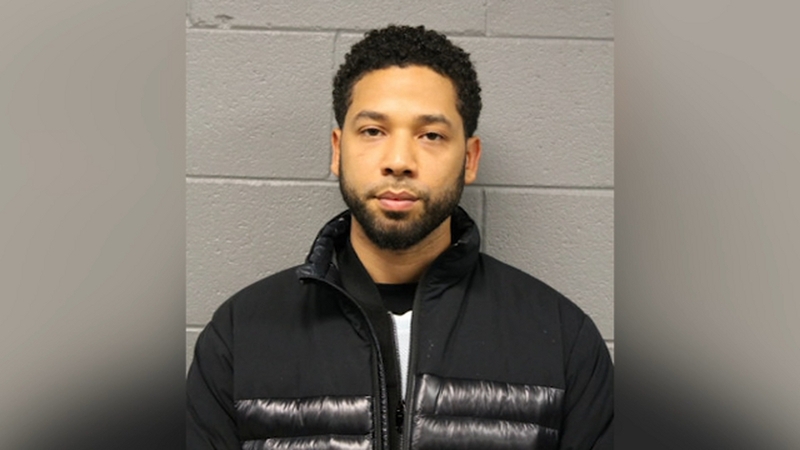 I suppose that could happen to Smollett, too, but he could also pull a Lindsay Lohan. Or not, since I just read that her career is also slowly getting back on track. Who’d have thought? However, he’ll have to go through a lot of hurdles first, not the least of which are the consequences of being convicted if it goes that way. But he’s not the only one who will experience consequences. Smollett’s ploy isn’t unique. According to USA Today, it’s actually pretty common, and as a result, each false allegation causes further damage to race relations, and in this case, will again make it more difficult for real victims of racism and prejudice against the LGBTQ community to be believed. Now each and every actual victim of a hate crime gets to “thank” Smollett and the many others who put their own issues ahead of everything else. Now, with each difficulty in being believed, in having their allegations be considered valid, at feeling like they’re not being taken seriously, these people can turn to Smollett and realize that he made it harder for them. And as Catholic teenager Nick Sandmann found out, this also makes it more likely that anyone wearing a MAGA hat for any reason will be considered a violent racist. Why am I writing this here on my religious blog? Because we’re supposed to be people of good conscience. We’re supposed to provide charity to the widow and the orphan, which is Biblical shorthand for the disadvantaged. I’ve been burned before giving charity to someone who had duped me, and I didn’t just waste my own money doing it. How do incidents like the one Smollett allegedly perpetrated affect our own willingness to believe the victim, offer help, give to the needy? After all, we’re people just like anyone else, and I don’t doubt that there are plenty of Christians right now who are raking Smollett over the virtual coals in social media, in their families, and in their churches. The court will judge Smollett on legal matters, and like everyone else, God will judge him on how he’s treated the Almighty and other human beings. While we, as individual human beings, likely have an opinion about Smollett and the behavior he’s accused of committing, a wider or more “God-like” view should tell us that we too have a judge, and while we may not be guilty of faking racist or homophobic attacks on ourselves, we do need to pay attention to our own thoughts, words, and deeds first. Have we done something that hurts others because of our own selfishness? If the answer is yes, then it behooves us to make amends in our own lives. This won’t change Smollett, and it won’t justify us “badmouthing” him, but it will mean we’re capable of learning a lesson here. So, hopefully, is Jussie Smollett. This story reminds me of something that happened to me 19 years ago when I was doing my undergraduate degree. Our university required us to take a PE class. Being an English and French major at the time, I considered a PE class a waste of time and so I chose something ‘easy’ called “fitness walking”. I walked over and cheerfully said to her, “Hi, I am Sarah and I would love to be your walking partner this semester.’ The blind girl, with her beautiful long brown curly hair and eager smile quickly introduced herself as Angie and her dog as Sarge. All three of us, Angie, Sarge, and me walked together all semester and became great friends. We regularly got together even after the class ended and remained friends until I moved 2,000 miles away. That’s normally the end of the tale, two close friends move away from each other and never see or hear from one another again. But this is the age of social media, so finding anyone on Facebook should be a snap, right? Well, that’s not exactly how this next part happened. Angie and I lost touch over the years, but the other day she found my parent’s phone number, called them and asked to be put in touch with me. We talked for hours that day and she told me about her marriage and her two children. Then, she hesitated and said, “My daughter, my first born…I named her Sarah– after you…” Tears came to my eyes and I told her I was touched. She continued, “I met you when I was a freshman. You were a senior– and you weren’t disabled. And you took me in as family at a scary time in my life.” After we ended the call, I gave gratitude to G-d for giving me such an opportunity to meet Angie. I don’t know why this final piece of Sarah’s commentary got to me. Maybe because it tells me that we may never realize how we affect people, for good or for ill, even after knowing them for years. A chance meeting nearly two decades ago brought two young women together, one who was actively avoided by most of her classmates because she’s visually impaired, and their friendship meant so much to the young Angie, that even after the two parted, when she had her first child, a daughter, Angie named her “Sarah,” after the friend who meant so much to her. We poor, pathetic human beings think we’re so powerless most of the time. We get cancer and we can’t cure it. We get into car accidents when we’re late for work. Our governments wage wars and we citizens can’t stop our soldiers, our fathers, brothers, and sons, from being maimed and killed. All the time we pray to an infinite and all-powerful God to rescue us from the consequences of being human. And then Sarah tells the story of her friendship with Angie and in a sudden flash of realization, the power we all wield, to heal or to harm, to inspire or to discourage, stands in stark contrast to the impotency we were feeling just moments before. I’ve spoken before about why all our religious arguments don’t work to serve the purpose of God, why only God can speak to our souls. Sarah’s story shows us that we can speak to each other’s souls. We just have to say the right words or rather, we have to actually show caring for another living being. Love and compassion are the language of the soul. It speaks even in eternal darkness and paints portraits even the blind can see. If a person consistently talks about the faults of others, he will usually overlook even the most obvious positive attributes of those same people. Today, think of someone that you often degrade, and try focusing on one positive quality of that person. I’ve been reading Joseph Telushkin’s book Rebbe: The Life and Teachings of Menachem M. Schneerson, the Most Influential Rabbi in Modern History which, according to Dennis Prager, is one “of the greatest religious biographies ever written.” I had heard good things about the book and put it on my mental list of books to read. Then I saw that my wife had checked out a copy from our local public library and thought of asking her if I could borrow it when she was through. And then last week, I found the book on my desk with a note from her suggesting I read it. Of course, it was almost due (you can only check books out of the New Releases section of the library for two weeks), but I got a chance to start reading before it had to be turned back in. I went online and put a hold on the book, so when I returned it on a Friday, it was ready for me to pick it up and check it out on my library card the following Monday. I’m a little over a quarter way through this 640 page tome and find it utterly fascinating. Telushkin is doing a great job of portraying the exceptional abilities and humanity of the Rebbe (Rabbi Menachem Mendel Schneerson) while avoiding lionizing him and making him into an unrealistically perfect person (as perhaps some Lubavitchers tend to do). We often hear the phrase, “It’s not personal.” But often, perhaps more often than not, disagreements do become personal. For example, in theory, since differences of opinion between political liberals and conservatives, and among Reform, Conservative, and Orthodox Jews, are over matters of policy and beliefs, they need not result in personal ill will among those holding opposing views or advocating different policies. As a Hebrew expression puts it: Halevai, if only that were true. For the Rebbe, though, it was true. If I had to pick one chapter to recommended to anyone who blogs or otherwise expresses their opinion on the Internet (of the chapters I’ve read so far), I’d pick this one. I think it should be required reading before writing and particularly before clicking on the “Submit” button and spewing our thoughts, feelings, and perspectives on the web for all to see…and particularly if we’ve got an ax to grind, religious or otherwise, that involves castigating another human being. The Rebbe had many strong opinions, so it wasn’t always like he was playing the role of meek and mild “Mr. Nice Guy.” For instance, he believed that the only valid conversion to Judaism was an Orthodox Conversion and that people who had converted to a different branch of Judaism should not be considered Jews and particularly should not be allowed to make aliyah (have the right of return to emigrate to Israel as a citizen). The “Who is a Jew?” issue — in which the Rebbe insisted on Israel only recognizing what he regarded as fully halachic, in effect only Orthodox, conversions to Judaism as valid — was one of those issues that provoked considerable opposition to the Rebbe, and one on which he found himself in periodic opposition with the Israeli minister of the interior, Yosef Burg (who was himself an Orthodox Jew). 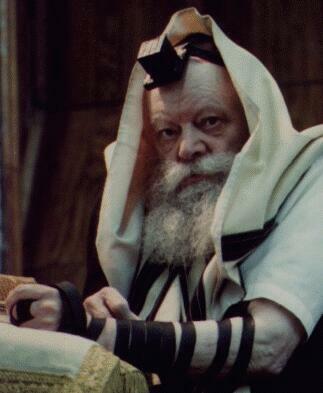 The Rebbe felt that Burg was permitting compromises on what he felt must be a non-compromisable issue. 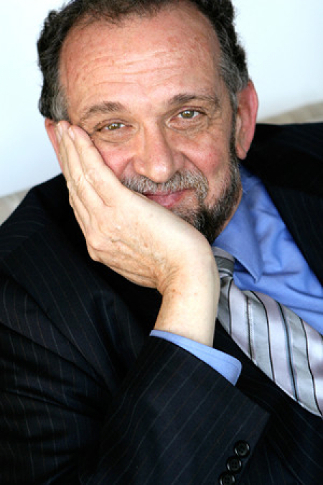 At a meeting with Bernie Rader, the Rebbe, in an uncharacteristic manner, screamed out at one point, “Why does he allow people who are not Jewish to be written down as being Jewish?” Yet, at this very moment of great annoyance, the Rebbe drew back and then, in typical Rebbe style, he said, “But it’s also true that he is a Jew who prays three times a day.” For Rader this was vintage Rebbe: “He always finished up by saying something nice about a person.” And not just a general platitude about the person being nice, but a specific detail (“prays three times a day”) that served to remind the Rebbe (and Rader) of areas in which he and Burg were united. If I could copy and paste the entire chapter into my blog, I probably would, or at least make a downloadable PDF of the chapter available. As we see from Telushkin’s recording the obvious outburst of the Rebbe in the above-quoted paragraph, the Rebbe was all too human. He could lose his temper out of frustration and scream at people. But he also realized what he did and backed off, seeking to define relationships, not by where people disagreed, but by where they were alike. According to Telushkin, the Rebbe had the ability to focus on speaking critically of a person’s opinion without attacking their motives or their personal character. That’s extremely important because it’s quite possible to disagree with someone who has good motives and a fine character, and even if they don’t (or you believe they don’t), it is still possible, and perhaps from the Rebbe’s point of view necessary, to avoid embarrassing or causing emotional pain to another person, particularly another Jew. Much of the time in public discourse, the Rebbe would state his opinion in contradiction to another person without ever mentioning that person’s name. Again, this was to accurately represent his stand on an issue, which was sometimes critical such as the Rebbe’s belief that “trading Land for peace” in Israel would not achieve peace and simply put Jewish lives in danger, without verbally assaulting the person having a different stand, who in all likelihood believed they were doing what was best. The ability to treat another person with respect in the face of disagreement, especially on highly emotionally charged issues, is rare in my experience. Most of the time, even among religious people on the web and sometimes in person, relationships can be strained, even to the breaking point. This is hardly a good reflection on our Master and desecrates the Name of God. Telushkin wrote that it isn’t known if this ability came naturally to the Rebbe or if he acquired it over many years of experience. It is known that the Rebbe was an extraordinary person even as a young man, many years before the would assume the leadership of Chabad. One of the qualities a person must possess in order treat another person as a valued human being created in the image of the Almighty while disagreeing with strongly held opinions of that person is being “comfortable in your own skin.” That is, you have to realize that first of all, you’re not perfect either, and secondly, that your imperfections and your being God’s cherished creation is something you and the other person have in common. If you fail to fully grasp and embrace those two facts, you will not achieve anything close to what the Rebbe did in these situations. In other words, you’ll be like about 98% of the people commenting in the blogosphere. There is no person on earth so righteous, who does only good and does not sin (Ecclesiastes 7:20). In the above-cited verse, Solomon states what we should all know: no one is perfect. People who cannot easily find imperfections within themselves must have a perception so grossly distorted that they may not even be aware of major defects. By analogy, if a person cannot hear anything, it is not that the whole world has become absolutely silent, but that he or she has lost all sense of hearing and may thus not be able to hear even the loudest thunder. In his monumental work, Duties of the Heart, Rabbeinu Bachaye quotes a wise man who told his disciples, “If you do not find defects within yourself, I am afraid you have the greatest defect of all: vanity.” In other words, people who see everything from an “I am great/right” perspective will of course believe that they do no wrong. When people can see no faults in themselves, it is generally because they feel so inadequate that the awareness of any personal defects would be devastating. Ironically, vanity is a defense against low self-esteem. If we accept ourselves as fallible human beings and also have a sense of self-worth, we can become even better than we are. …be aware that if I do not find things within myself to correct, it may be because I am threatened by such discoveries. As Rabbi Twerski said, most people who are disagreeable don’t think of themselves as perfect and the rest of the world as losers. In my experience, most people who are disagreeable are aware, at least deep down inside, of their imperfections and their insecurities. They attack or behave in a hostile or rude manner, not just because they think they are right, but because they have to be right. If they allow themselves to consider the possibility that they could be wrong, it would be a blow to their ego and would strike at the very heart of their vulnerabilities. They can’t afford to be wrong, to be humble, to apologize, to ask forgiveness because of the emotional distress that would result. That’s one of the reasons I’ve greatly appreciated my interactions with Pete Rambo on his blog. We disagree about a great many things, at least in the religious arena, but have yet to attack each other or to personalize conflict. It’s everything I’ve ever wanted out of a relationship with those people who differ from me on some opinion in the blogosphere. I think it’s a quality the Rebbe employed in his dealings with everyone, Jew and non-Jew alike (more on the Rebbe and non-Jews in a minute). I recently posted a blog about the value and priority of living a focused life. I have admired focused lives for at least forty years. And in recently reading Joseph Telushkin’s study on the life and work of the Lubavitcher Rebbe, Menachem Mendel Schneerson, I drank deeply from a remarkably focused life. 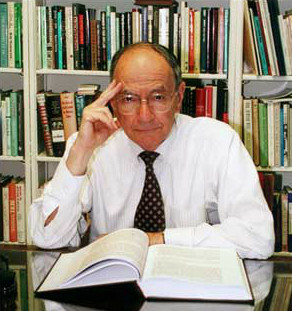 Telushkin said that researching the book made a better man of him. Reading the book is doing the same for me. Read this book. It will make you a better human being . . . and a better servant of God. In discussing my experience in reading the book with my wife (as far as I’ve gotten so far), I pondered whether or not the Rebbe was one of those rare persons in our world who truly was a tzaddik. I sometimes use that word to refer to people such as Abraham, Moses, and certainly Jesus (Yeshua), but no one who has lived in modern times. And yet if a tzaddik did live among us (Rabbi Schneerson passed away in 1994) and we have a record of his teachings and lectures (which we do), perhaps it would be a good idea to take R. Dauermann’s advice and read the Telushkin book. So far I’ve found it compelling and even inspiring. It is my prayer that reading of the Rebbe’s extraordinary life will make me a better person and better servant of God too, even as a non-Jew and a disciple of Christ. A final note on the Rebbe and his relationship with non-Jews. In “Chapter 11: Judaism’s Mission to the World,” Telushkin relates how the Rebbe had encouraged Jewish businessman and philanthropist David Chase to pray daily as Chase’s birthday present to the Rebbe. Chase agreed, and while vacationing on his yacht, he asked the Captain each morning which way was east (the yacht would periodically change course, sometimes even while Chase was praying) so he could face toward Jerusalem while davening. The Captain agreed to tell Chase which way was east each morning and not to change course while Chase was praying. One Sunday morning, the yacht pulled into Block Island and the Captain asked to go ashore for an hour or two. At his next visit to 770, Chase told the Rebbe about this incident. The Rebbe, to quote Chase, “got a big kick out of it,” and the businessman learned that the Rebbe shortly thereafter spoke of this event at a public lecture; he wanted his Chasidim to know that their behavior could encourage non-Jews, not just Jews, to come closer to God. 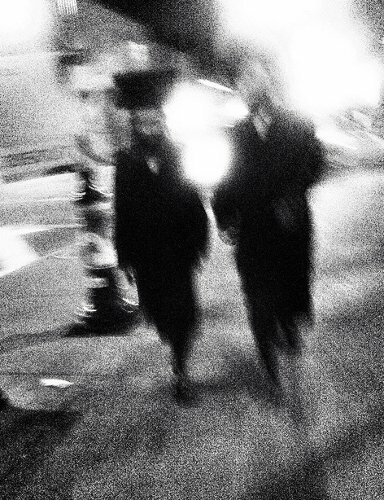 One winter Friday evening after services, I happened to walk home in the company of a talkative Seminary student. As we made our way down Broadway, we passed a weary and emaciated man whispering for some spare change. On Shabbat I pay less heed to such heartrending pleas because I don’t have any money with me. Neither did my young companion. Yet he politely interrupted our animated conversation and asked the man whether he would like a sandwich. When he responded with evident joy that he would, the student pulled out a neatly wrapped sandwich from his plastic bag and gave it to him. Obviously, unlike me, the student did not allow Shabbat to prevent him from aiding the homeless who crowd the sidewalks of Broadway in the midst of the academic acropolis known as Morningside Heights. Though we met no more homeless before we parted company, for all I knew my companion still had another sandwich or two left in his bag to feed the hungry. His unobtrusive display of forethought and compassion stirred me deeply, as it filled me with pride. I read Schorsch’s commentaries on the weekly Parashat as a matter of devotion each Shabbat morning, but this time I was almost startled at the parallel between the incident he reported and the Gospel reading for Behar as recommended by First Fruits of Zion (FFOZ) (Each year near the beginning of the Torah cycle, FFOZ provides a list of the parashat readings for the coming year on PDF for anyone who cares to download it). The Master answered and said to him, “Hypocrite! Will not any one of you untie his ox or donkey from the stable on Shabbat and lead him to get a drink? But here we have a daughter of Avraham whom the satan has bound for these eighteen years. Will she not be released from what binds her on the day of Shabbat? When he said these words, all who were standing against him were ashamed, and all of the people rejoiced about all of the wonders there were performed by him. I suppose you can’t compare the supernatural miracle of healing a woman who had suffered an affliction for eighteen years with simply giving a starving, homeless man a sandwich you are carrying with you, but they both speak of a willingness not only to feel compassion but to actively express it for the benefit of another, even (apparently) flying in the face of devoted Shabbat observance. Yeshua (Jesus) was accused by the local synagogue leader of violating the prohibition of working on the Shabbat by healing the disabled woman. From the point of view of the leader of the synagogue, his interpretation of the laws of Shabbos was correct and obviously, based on the reaction of the rest of the people present, that opinion was the majority viewpoint in that stream (and probably all streams) of Judaism in that day. Even today, while it is permissible in Orthodox Judaism to render medical treatment in the cause of saving a life, routine medical matters (this woman had survived her ailment for eighteen years, so Yeshua could have waited another day before healing her) are attended to on the other six days of the week. For many Bible readers, this distinction may be too obscure, but if missed, the reader also misses the message of all the Sabbath stories in the Gospels. The essential message is not that Jesus has cancelled the Sabbath or that the rabbinic interpretation of Sabbath is illegitimate. The Sabbath-conflict stories instead communicate that acts of compassion and mercy performed to alleviate human suffering take precedence over the ritual taboo. 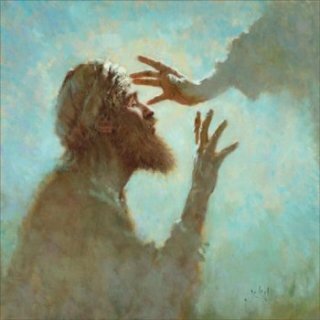 The miraculous power by which Jesus performs the healings only serves to add God’s endorsement to Jesus’ halachic, legal rationale. Did Jesus’ disciples break the Sabbath in the grain fields? Yes. But they were justified in doing so because their need took precedence over the Temple service, and the Temple service took precedence over the Sabbath. Therefore Jesus declared them guiltless and told the Pharisees, “If you had known what this means, ‘I desire mercy, and not sacrifice,’ you would not have condemned the guiltless” (Matthew 12:7). Did the Master break the Sabbath when he healed on the Sabbath day? Yes. Would fixing a car break the Sabbath? Of course it would, and by the same standard so does fixing a human body. Nevertheless, the Master justified doing so because compassion for his fellow man took precedence over the Sabbath. It is Lancaster’s opinion that Yeshua did indeed “break the Shabbat” as it is literally understood, and performed one of the types of work or melachah (plural: “melachot”) that is forbidden to do on the Sabbath. But Lancaster believes that the needs and dignity of human beings who are created in the image of God have a higher priority than mechanically performing a list of “dos” and “don’ts”. I don’t mean to cast Shabbat observance or any performance of the other mitzvot in a negative light, far from it. I do want to point out something about human nature, though. Ismar Schorsch, whose writings I greatly admire and who was the sixth Chancellor of the Jewish Theological Seminary (JTS) for nineteen years (he retired on June 30, 2006), wrote, on “Shabbat I pay less heed to such heartrending pleas because I don’t have any money with me.” It wasn’t that Schorsch lacked compassion or didn’t care about the dire needs of other people, but the traditional practice on Shabbat is not to handle any form of currency or to engage in any type of commerce. Naturally, he didn’t have any money on him, and neither did his sandwich-carrying companion. The Mishnah divides the landscape into “domains”: the private domains of individual houses, the public domains of streets and markets, and shared areas like alleys and courtyards that are not quite public and not quite private. The prohibition of carrying is violated when one removes an object from one domain to another [M. Shabbat 1:1, 2:1; M. Eruvin passim]. The Mishnah goes even further in eliminating the notion of “burden” from this prohibition. It declares that the prohibition is violated only if the object that has been carried is an object that people in general, or at least its carrier, value or use or keep; if it has no value or if it is too small to be used or if it is not worth keeping, then it does not qualify as an “object” for the purposes of this prohibition. A Torah-fearing Jew would not remove even such a nonobject from one domain to another on Sabbath, but incurs no liability for having done so [M. Shabbat 7:3-8:6, 9:5-10:1]. Since it appears a sandwich has value (especially to a hungry man) and is definitely big enough to use (eat), Schorsch’s companion could not be excused for carrying food items from one domain (presumably he made this sandwich before Shabbat and at his home, which is a different domain than the street) to another. Of course, the Mishnah may be more strictly observed by Orthodox Jews than Conservative Jews (Schorsch is affiliated with Conservative Judaism and presumably so are the students at the Jewish Theological Seminary, including the student in question), but I have to wonder. I have to wonder if both Schorsch and the Seminary student were aware of the prohibition of “carrying,” which was another reason that they both had no money in their possession, since money obviously has value, but they saw a higher value requiring attention. The statement made by Schorsch from which I quoted above, indicates that it was quite common on Broadway to encounter homeless people who would typically ask for spare change or some other form of charity, even on Friday evening. Schorsch saw no way to assist them while observing the Shabbat but the student didn’t let that stop him. Did the student violate Shabbat by carrying sandwiches from one domain to the next, even for the purpose of committing “a premeditated act of kindness” (Schorsch, pg 443)? Schorsch’s own reaction of pride, not even questioning the apparent violation of performing “work”, seems to answer from his point of view. I don’t believe that either Yeshua or the anonymous student violated the Shabbat. I believe they acted in the highest principle of Sabbath observance, even if it seems they “broke” the observance of the literal meaning of the melechot involved in each incident. “Oneg,” or the traditional meal eaten at the end of Shabbat services at synagogue, literally means “joy”. 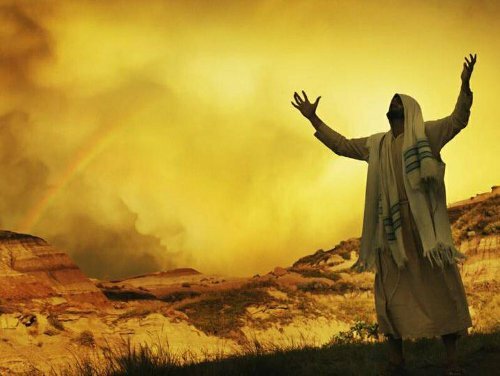 Regardless of the trials and difficulties we may encounter during the rest of the week, or no matter what else may be troubling us, Shabbat is a time to set all that aside and to live as if the Kingdom of God had already arrived, as if Messiah were already enthroned in Jerusalem, and as if he already reigns over a world filled with peace and the glory of God. So to alleviate the suffering of even one person or any other living thing is to assist them in some small manner in entering Shabbat and a foretaste of the Kingdom. In any way we think we are obeying the will of God, let’s not forget that there is a higher principle involved that summons the future Messianic Age. What we say, think, and do now, on one level, is temporary and will not last, so we sometimes tend to dismiss this life in anticipating the next. But we must never forget for a single instant, and especially on Shabbat, that kindness, compassion, charity, and raising the level of the dignity of another person, even for a moment, are eternal principles and the loftier and weightier matters of Torah, and they speak more of loving God and loving others (for the two are inseparable) than the matter of committing a “forbidden” act of melachah here or there as the situation arises. 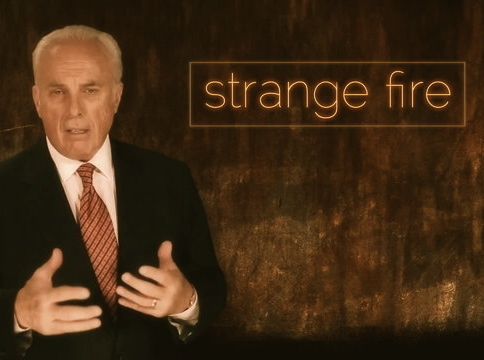 John MacArthur opened the Strange Fire conference, and then, for the second session introduced Joni Eareckson Tada as a friend and former member of his church. She was at the conference to share her testimony of living as a quadriplegic who has prayed for, but not received, a miraculous healing. As MacArthur said in his closing comments, if anyone has the faith to be healed, it must be her. In a sweet and spontaneous moment, Joni called MacArthur to the stage and, hand-in-hand, the two sang a couple of stanzas of “O Worship the King” together. I have been to a lot of different conferences, but that will now rank as one of my all-time favorite moments. This is the second part of my Challies Chronicles series, an analysis of Pastor John MacArthur’s Strange Fire conference as “live blogged” by Pastor Challies. I’m also more or less “live blogging,” in that I’m writing as I’m reading, giving you my impressions as they occur. I want to be fair to MacArthur and I feel that, using Tim Challies as my source, someone who, as far as I know, should be sympathetic and supportive of MacArthur’s views, I am avoiding those bloggers and other pundits who tend to be “anti-MacArthur” to accomplish the purposes of this project. All that said, being fair doesn’t mean I always have to agree with MacArthur or the other presenters at Strange Fire. Even today she often has well-meaning charismatics who come up to her and pray for her healing. Though she never says no, she does always ask them to pray for specific things and then highlights character issues. Will you pray for my bad attitude? 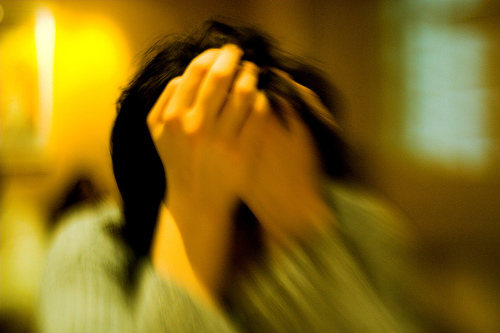 Will you pray for my grumbling? She means to show them that she is far more concerned with indwelling, remaining sin than chronic pain and legs that do not work. She went on to describe a trip to Jerusalem and going to the very place where Jesus had healed that paralyzed man so many years ago. And there, in a moment alone, she found herself praying to God to thank him for not healing her, because a “no” answer to her requests for physical healing had purged so much sin, selfishness, and bitterness. That “no” answer left her depending more on God’s grace, has given her greater compassion for others, has reduced complaining, has increased her faith, has given her greater hope of heaven, and has caused her to love the Lord so much more. She sees the joy of sharing in his suffering and would not trade it for any amount of walking. 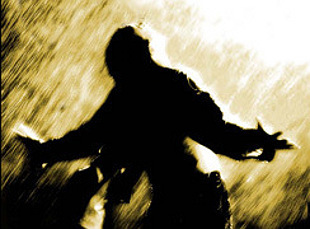 What do we really want to be healed of, our physical problems or our spiritual problems? Do we need to be healed of cancer or given the “medical procedure” of a circumcised heart? And they brought to Him a paralytic lying on a bed. Seeing their faith, Jesus said to the paralytic, “Take courage, son; your sins are forgiven.” And some of the scribes said to themselves, “This fellow blasphemes.” And Jesus knowing their thoughts said, “Why are you thinking evil in your hearts? Which is easier, to say, ‘Your sins are forgiven,’ or to say, ‘Get up, and walk’? But so that you may know that the Son of Man has authority on earth to forgive sins”—then He said to the paralytic, “Get up, pick up your bed and go home.” And he got up and went home. But when the crowds saw this, they were awestruck, and glorified God, who had given such authority to men. Only God forgives sins and so I also believe only God can miraculously heal. Even if we say, as I can only believe MacArthur says, that the age of miraculous healing is done and that God does not heal anymore in a supernatural sense, I have a question. Why do we pray for people when they are hurt or sick? Actually, I have no idea if MacArthur prays for the sick, although I certainly hope he visits them because I don’t think that type of kindness we see in the Bible was ended when New Testament canon closed. I go to a fundamentalist Baptist church. I imagine MacArthur would be comfortable worshiping there. And yet, in the bulletin they pass out to me as I enter the doors of the church for services every Sunday morning, there is a multi-page paper containing many, many prayer requests. At the top of the list, we are to pray for our President, our other Government representatives and so on. Then there’s a list of missionaries we should pray for. After that, there are multitudes of requests from people in the church about others in the church, family members, friends, and so on, most of whom suffer from terrible medical situations. When I go to Sunday school after services, the teacher begins class by asking for prayer requests. Again, usually people’s medical problems are brought up, people facing surgery, people with chronic illnesses, people who are dying. Why do we pray for them if we don’t, on some level, want God to heal them? Sure, sometimes we pray for someone’s salvation. Sometimes we pray for someone who is in a spiritual crisis of one kind or another, but most of the time, we pray for people who are sick. I know from my own experience, that most if not all of the terminally ill people I have prayed for have died. I know that’s cruel to say, but that’s my experience. Why did I pray for them? What was the point? I can see how the whole “faith healing” process has been hijacked and abused and I most certainly don’t advocate for frauds and hucksters who prey upon the illness and weakness of others for financial gain, but I do take exception to the idea that we aren’t supposed to pray for people who are hurt (and I’m not quite sure MacArthur would actually advocate that position). I also take exception to the idea that God can’t or won’t heal someone supernaturally. I don’t say these healings occur regularly or we can predict when they will happen. If they happen at all, they probably do so infrequently and without any way to know when a person will or won’t be healed. And yet we hope. And yet we pray. And yet we rely on God to have mercy, and beg Him to heal, if not the loved one who we know is about to perish, but our grieving soul when we are left behind and alone. Yes, as we read Matthew 9:2-8, above all, God desires to heal the soul, to forgive sin, to bring about redemption, to circumcise the heart of stone and give the sinner a heart of flesh. None of that means we like to see our loved ones suffer physically. None of that means we aren’t compelled to pray for them, to ask and even to beg God to cure a four-year old little girl of leukemia or some other horrible, life-threatening ailment. It’s a terrible thing to think that God would cause a newborn baby to die because of the sins of his father. I’m not sure how else we can interpret the events about the child David and Bathsheba conceived together in the shadow of adultery and murder. But while the child was alive, David prayed and fasted and wept, but the child died anyway. The Lord gave and the Lord has taken away, blessed by the name of the Lord. That has to be one of the most bitter prayers recorded in the Bible, and yet it is reflected in the grief of David and in the grief of anyone who has lost a loved one. How can I not pray from the “brokenness” of my heart? I think Ms Tada’s point was well made. I know that living with a long-term and severe medical problem can actually bring a person closer to God, can make the relationship stronger and more intimate. I’ve seen such a thing happen to a man I know. But it’s still a bittersweet thing. That doesn’t mean God doesn’t want to heal the injured or comfort the grieving. That doesn’t mean that sometimes, in accordance with His will, God doesn’t provide us with what we need, and even what we ask for out of His abundant grace, power, compassion, and pity. I don’t know what MacArthur was trying to accomplish by presenting Ms. Tada on stage at his conference. What he accomplished, at least for me, is to remind me of how fragile life is and how we all rely on God to help us when our problems are so much bigger than we are. If MacArthur meant to indict the Pentecostal church for false advertising, I missed that part of the message.